There are so many big changes that happen from 6 to 12 months! A play area for these mobile infants must be safe above all things. I highly suggest creating a "yes"space that is not only baby-proofed but has interesting things to touch, move, and look at. As your child begin to sit on her own, you can offer a handful of items just out of reach so she has to stretch and bend over. Get a pull up bar (see below) and a walker wagon to encourage pulling up and cruising. Any toy we listed on the 3-6 month page will still work for this age too. Your infant's brain and body have changed so quickly, she can now explore these toys in new ways. 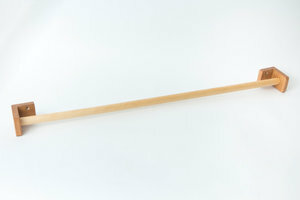 A pull up bar offers a safe place for the infant to practice pulling up and cruising(sideways walking). Attach a bar in front of an unbreakable mirror to create more interest and feedback. This bar from Heirloom Kids USA is 1 inch, perfect for smaller hands, and even has the holes pre-drilled for you. Make sure you secure this into wall studs or use drywall anchors for safety. I love these. Interesting shapes and textures, flexible, washable, stackable, nest-able, AND you could use them for baking when your child gets older. Look for cups that are food grade and BPA-free. I offer a handful in a basket like this to 6-12 month olds, and observe the creative ways they find to play with them. Infants are keenly interested in this simple Montessori puzzle that requires coordination for both hands! Offer the egg and cup first, and the pin and cup next, as it's slightly harder. This handmade set is from Bella's Casa. These have a similar function to the palmer and pincer blocks below, so you could choose one or the other if you are short on space. Another lovely handmade item from Heirloom Kids USA. These Montessori infant materials offer another simple puzzle that build coordination and hand dexterity. The block on the left builds a whole hand grip (palmer) and is offered first. The block on the right can be offered when you notice your child picking things up by their thumb and index finger(pincer grip), around 9 months. I'm not a fan of walking "aids" for developmental reasons, but this Montessori material is an exception. A walker wagon offers your child an opportunity to practice skills like pulling up, take steps, and moving forward, which are all needed to walk. Look for a wagon that is wide, heavy and hard to flip, has slow-moving wheels with traction, and is well-made. 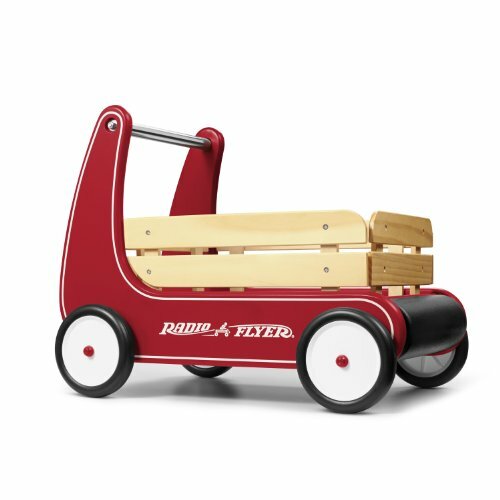 This Radio Flyer meets all that criteria, and this wagon from IKEA also works. 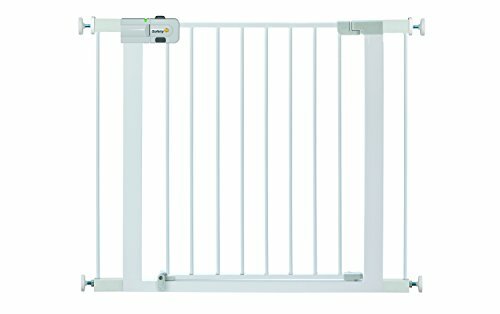 Your mobile infant needs a safe space to explore and a gate offers easy protection. My favourite baby gates allow me to open with one hand and walk through (as my hands are usually carrying a baby or toddler). This one is extra tall and extra wide and pressure mounted. Pick up some wall protection too, your walls will thank me later. I have not found outlet covers I love. The ones I've experienced are either too tight or too loose, and won't help you if you have something plugged in. I've found the best solution is to block outlets with furniture to remove the visual temptation if you can, otherwise find a set of covers that are tight-fitting in your outlets. Try these basic ones first, and these from Safety 1st. I've also just taped over the outlets in a pinch. There are now new child-safe outlets available for installing into your home! Ask about it for new construction. Infants are quite happy with common household objects, and you can build foundations of logical thought and language with a treasure basket. For 6-12 month olds, start with 3 objects that are quite different in texture, shape, color, or material. Any safe objects you have around the house are fine. The basket here has a plastic comb, a piece of ribbon lace, a large hair clip, a metal teaspoon, and a wood block. As your child gets older, you can offer just brushes, or all red things, or different kinds of fabric. Oh, and the basket is an object too!